Get LOST in our maze! 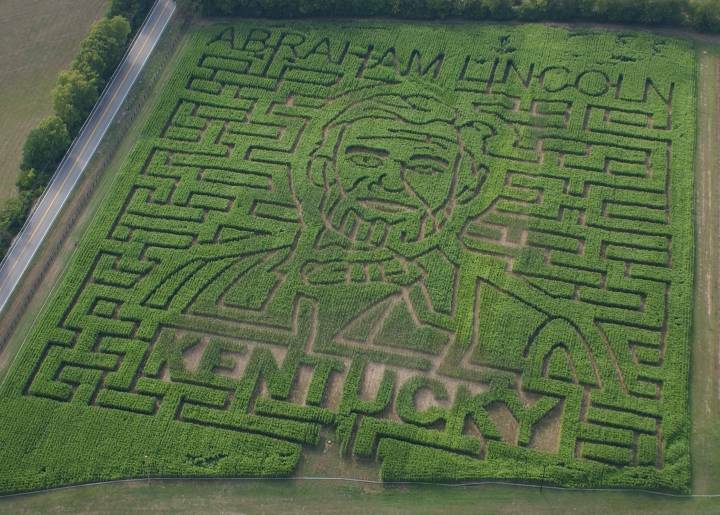 Nearly 9 acres of skillfully designed maze, carved into our canvas of corn, hay rides, NEW hay pyramids, corn hole, pumpkins and other fall produce, food, funnel cakes, apple cider and more! Access to our Giant Corn Maze, during daylight hours of operation. Last customers will be admitted approximately 30 minutes BEFORE dusk. Access to our Giant Corn Maze… at night! First Night Maze customers admitted just before dusk. INCLUDES FLASHLIGHT RENTAL. Only true adventurers admitted! Fresh from the field! Carving pumpkins, pie pumpkins, specialty pumpkins, gourds, squash and cushaws. Priced individually and by pound, depending on variety. BENTON FARMS - a real working farm with history and 70+ yrs experience. We have promised our customers over the years that we will keep it just like it is, a country farm experience without the commercialism. And it is for those reasons that you should come enjoy Halloween with us! Pick your own pumpkin, enjoy our hayride, and much more! In October make it a tradition, take the family on a hayride to the pumpkin patch and pick, from a variety of shapes and sizes. The barns will be open for you to come in and visit/feed the animals. We also have, straw, and corn stalks for sale to help your family to decorate for fall! And enjoy kids indoor hay maze. We have simple farm family fun! Enjoy some country cookin' and pumpkin pies on Saturdays and Sundays in October! Admission is charged in October for 'Pumpkin Days on the Farm' $7. 3yrs under FREE groups over ten text 859-240-4552 promo code find a pumpkin patch.com for $ rate. All inclusive haunted house. 1 price covers all the events, The Castle, the woods, the mazes, the woods. 1 price not $10.00 each event. Fall is a great time for your family to visit Hinton's Orchard & Farm Market! Visit us from Labor Day until Halloween for tons of fun activities for the whole family. Hinton's Orchard & Farm Market is a family farm in Hodgenville, Kentucky focusing on fresh quality products and family fun. The goal is for customers of all ages to enjoy their trip to the farm and to provide activities that are fun, safe, and teach you a little about your food source. Come visit us soon and see what we're talking about! 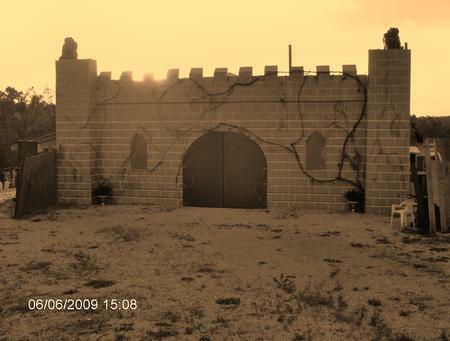 Bring the family down to Mink and Walters Pumpkin Patch for some good, classic Halloween fun! Pick out the perfect pumpkin - just for you! Get lost in our hay maze! This is a great autumn activity - bring your friends and the camera! We have pumpkins, a Hay Maze, Games, Animals, over 50 varieties of pumpkins, gourds, fall decorations, painted pumpkins, Giant pumpkins, and Mums. Fun for all ages! Find the best Halloween attractions in Kentucky, pick your own pumpkin patches in Kentucky, corn mazes in Kentucky, Halloween hayrides in Kentucky, and Halloween events that include attractions like face painting, face painting, pony rides, inflatables, Halloween hayrides, and places you can go and pick your own pumpkins in Kentucky. Each Halloween hundreds of Halloween events for kids open each year in Kentucky. 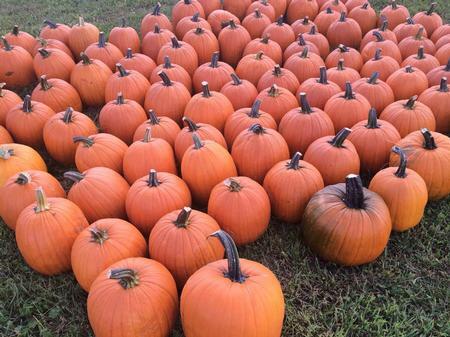 Do you want to pick your own pumpkins and bring the kids where Kentucky pumpkin patches includes other events like hayrides, corn mazes and more? Halloween Attractions helps you find simply the best and spookiest Halloween family fun in the state of Kentucky. Farmers across Kentucky have turned their family farm into massive Halloween events where guests are allowed to pick their own pumpkins, corn stalks, while having a fun Halloween Experience inside one of Kentucky's biggest and best Halloween Attractions. 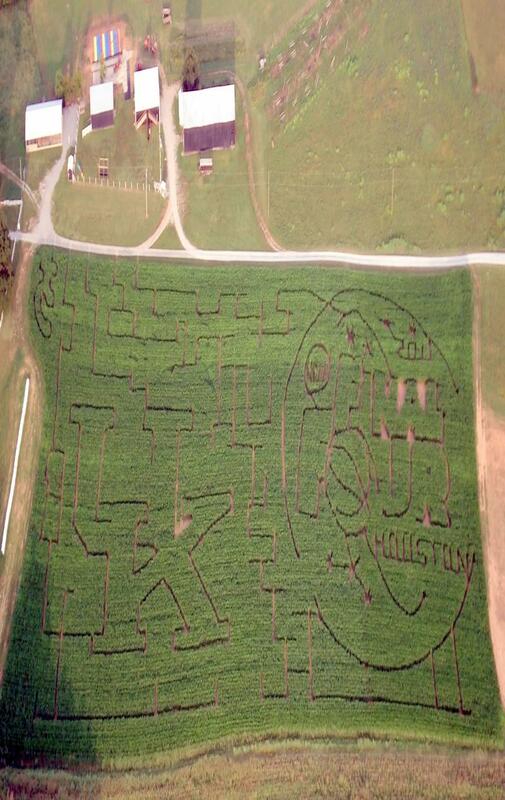 Corn Mazes have become a staple attraction inside these mega Halloween Attractions in Kentucky where farmers create detailed patterns in a corn field and guests must find their way through the maze of corn. Additionally one of the new traditions inside these Pick Your Own Pumpkin Patches in Kentucky is the hayride where guests board a wagon and farmers pull you around spooky sets. Halloween Attractions in Kentucky are huge over the top Halloween Family Fun for everyone no matter if you are looking for a Kentucky Corn Maze, or Halloween PIck Your Own Pumpkin Patch in Kentucky www.HalloweenAttraction.com is the single best source to find everything Halloween this October we want to help you locate all the best halloween events in and around the Lexington-Fayette, Louisville, Owensboro, Bowling Green, Covington and Pikeville, Kentucky, areas. If you are looking to find the best Halloween events and more, find everything you need at www.HalloweenAttractions.com. Some Halloween Attractions in Kentucky will feature a haunted house for kids in Kentucky and or simply a haunted house. Many of these Halloween Attractions in Kentucky will run daytime family oriented Halloween Attractions during the daytime and haunted houses at nightime. Make sure you check their website to find out of the daytime events are different than nightime events just in case you have young children. 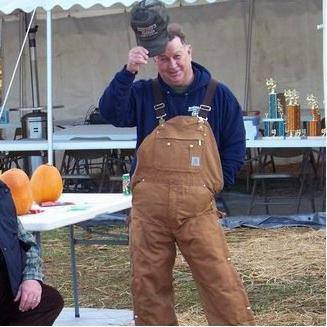 Haunted Houses in kentucky on family farms are simply put another way for farmers to earn additional revenue which in turn helps keep the family farm from going under. Try to support your family farmers and visit their Halloween Attractions instead of taking the easy way out and visiting some mega retail store to purchase your pumpkins. Grab your family video camera and head out to a Halloween Corn Maze in Kentucky, and get out there and pick your own pumpkins in Kentucky.